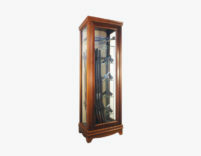 Gun cabinet with certificate of conformity. 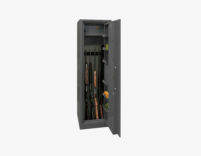 This 4 gun safe can hold up to 4 rifles. 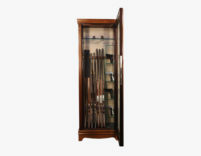 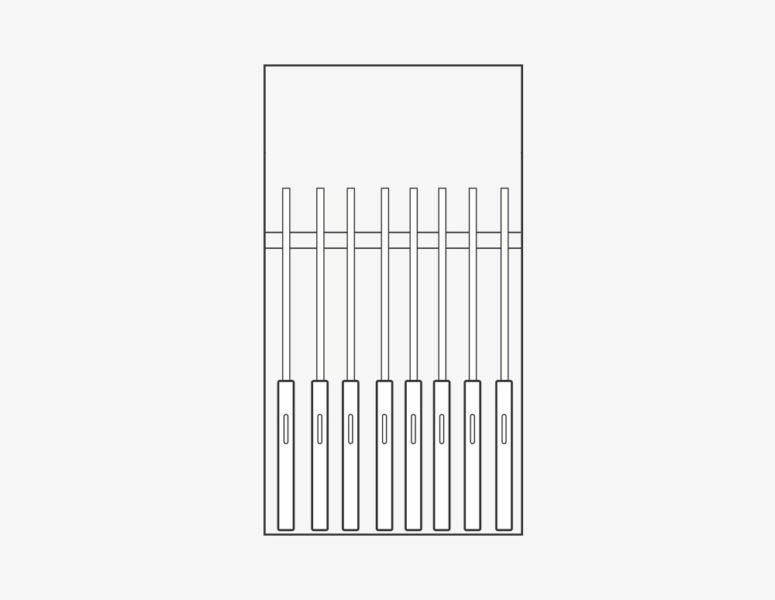 The cabinets of the Key line are perfect for storing weapons as they are made according to the current safety standards dictated by law. 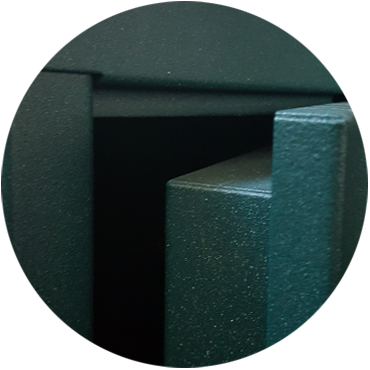 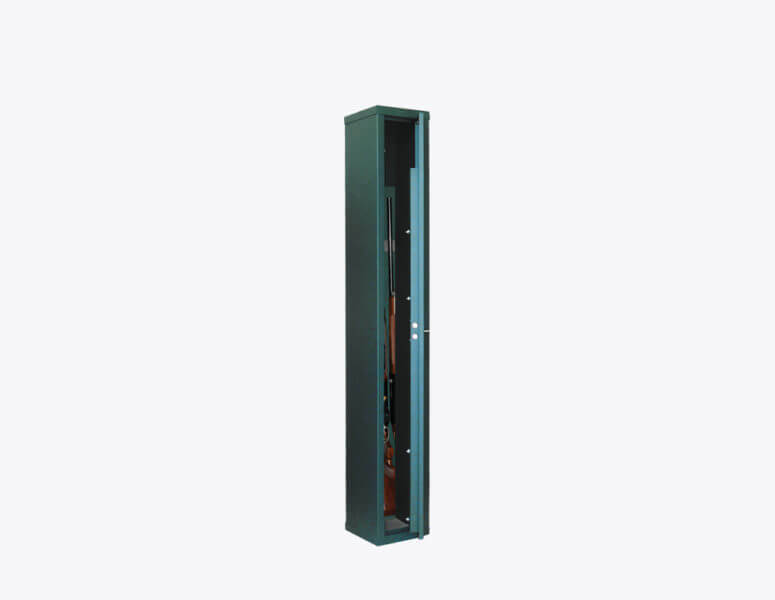 This 4 gun safe has a Monoblock structure in sheet steel. 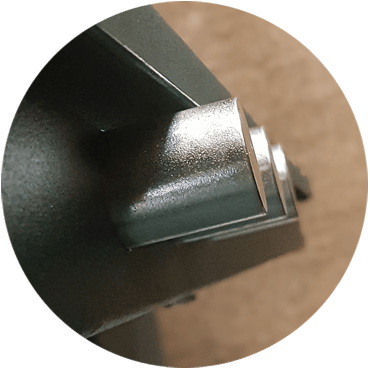 2 rotating frontal bolts of 16 mm. 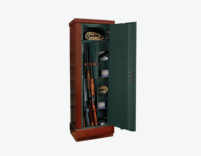 This 4 gun safe is Painted with epoxy powder.